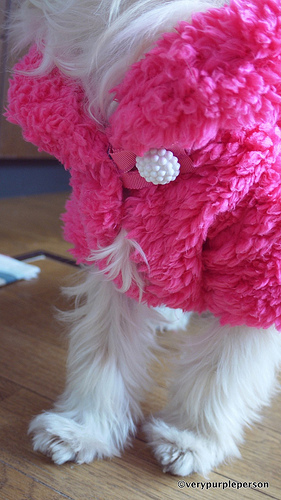 Why would a dog needs a fur bolero, considering that she already has fur all over? The answer is not important though! 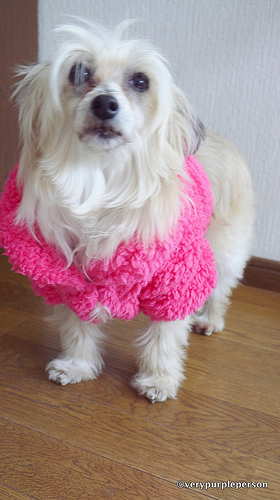 I think Fuwawa looks fabulous in it, don’t you agree? 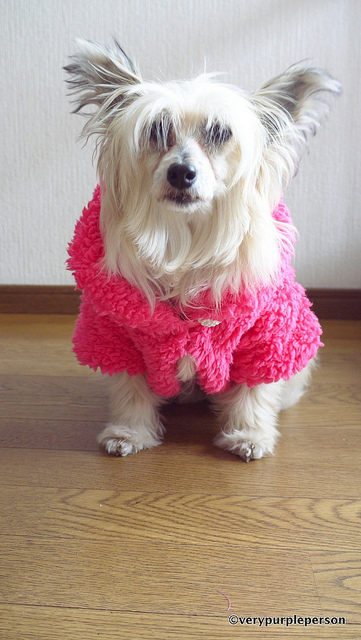 The pattern is dog bolero from MillaMilla, my favorite Japanese pattern shop for dogwear pattern. 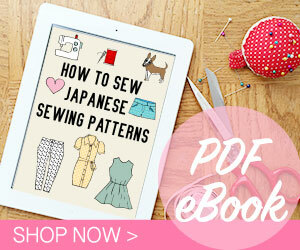 They sell PDF pattern in their Japanese site, English site, and Etsy store, I bought mine in the Japanase site. 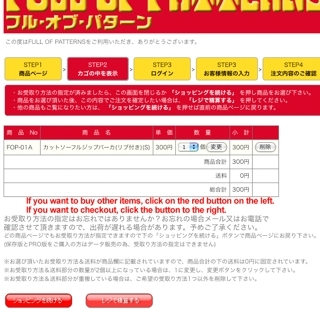 In MillaMilla store, you can buy pattern only without the instructions. 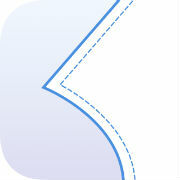 I chose this option as the bolero is quite simple. 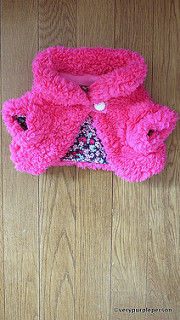 The fabric is faux fleece fur in shocking pink with floral lining, both fabrics are stretchy knits. 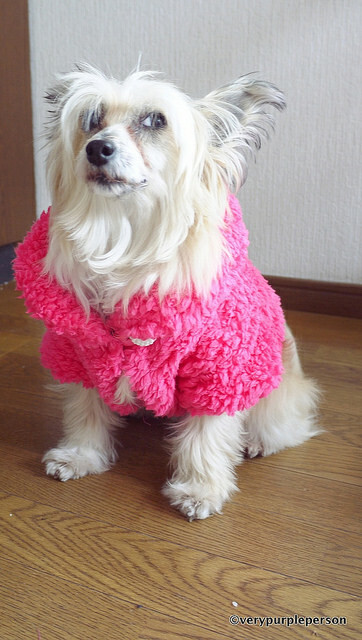 The faux fleece fur is quite popular here in Japan during winter, usually made into socks or body warmer. 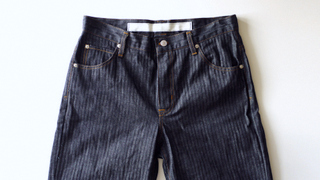 Initially I used grosgrain ribbon as closure but it kept coming undone so I changed it into button closure. I think the white button adds a nice detail! 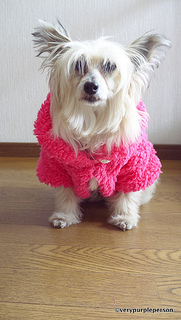 PDF pattern is dog bolero by MillaMilla (Japanese version, English version), size M.